With a world full of people who are browsing the internet primarily on their phones, it’s never been more important for you to adopt a responsive design if you have not already. One of, if not the greatest benefit to having a responsive website is that it offers your customers the best possible experience across any device they access to it with. When planned properly, your website should contain all the same features and content across all devices, but specifically optimized for viewing based on the resolution of the viewing device. This will ensure a consistent, effective experience for all customers across all devices. Responsive design is not just a technology, it is a strategy that drives your website experience. It’s not enough to just take your website and adjust it to work on a mobile device. From content strategy to hierarchy, responsive design takes the experience of all your users and prioritizes what their needs are to come up the best possible product to please your customers. In the end, your users don’t know or care what responsive means but they do know if your website is easy to use and gives them access to the information they need. In 2018, Google reported that they would begin indexing search results based on the mobile-first practices as opposed to the desktop version. For most in the industry, this was a logical change as nearly three years ago Google had reported that mobile searches had over taken all other devices. 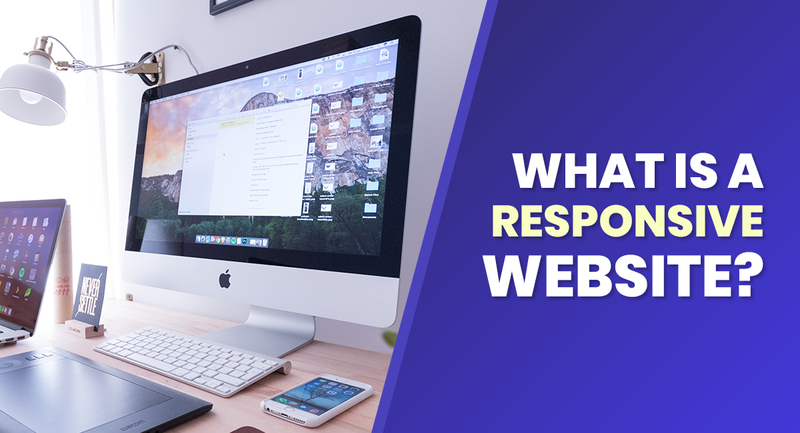 Not only is this important for how Google will rank your website, but it shows the increasing importance of having a responsive website to give your customers’ the best experience possible. Creating a user-focused experience will help your viewers browse your website, find the content they want, and have a worthwhile experience. Google tracks data like this and has metrics to measure the quality of the user experience which is another large factor for their search rankings. If you’re still having any second thoughts, just know that in the end Google has openly stated that they recommend responsive website design. While the initial investment of a responsive design can be costly, the reduced cost of maintenance can be significant in the long-term. Whether you are doing your website updates, or you pay another company to handle the webmaster duties, it is much easier to maintain one responsive website than it is a website with separate mobile and desktop versions. There is no excuse at this day and age for not having a responsive website. At one point responsive design was a way to stay ahead of the competition but in 2018 it is a necessity to stay on par with the competition. If your business is not responsive, your website efforts are failing and your #1 priority should be to plan.